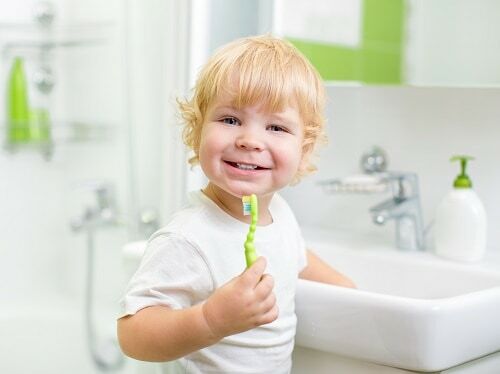 Home » Blog » Can Kids Get Canker Sores? Posted December 11, 2018 by Dr. Ehrenman & Dr. Khan & filed under General Dentistry, Oral Care. There are an estimated 3 million canker sore cases a year. But knowing that these annoying and painful sores affect nearly everyone doesn’t necessarily make them easy to tolerate when they happen to your child. At our pediatric dental office in Long Island, we understand that canker sores are uncomfortable and can hurt. That’s why we’re here to share some information about canker sores and how you can help ease your little one’s discomfort. Since canker sores will heal themselves most of the time, a visit to your pediatric dentist in Long Island may not be necessary. However, if the sore lasts longer than two weeks or is causing severe pain, it’s best to schedule an appointment. Also, if your child gets more then two or three canker sores a year, make sure to mention it at his next dental appointment. If you have concerns about any changes in your child’s mouth, we encourage you to call our Long Island pediatric dental office today. We’re here to help keep your little one healthy and will be happy to see him.